Medical Conditions Diane may have been pregnant at the time of her disappearance and possibly had a miscarriage afterwards. Distinguishing Characteristics Caucasian female. Brown hair, brown/gray eyes. Diane's maiden name is White. One of her breasts is larger than the other. She has a freckle at the tip of her nose, and her ears are pierced. Diane lived with her parents and siblings in San Bernardino, California until 1959. In March of that year, her family moved to Dolan Springs, Arizona. Diane decided to remain in California with her boyfriend, Bennie Milton Webb, who was then sixteen years old. She visited her family in Arizona on at least one occasion and stayed for a week. She told her parents she was pregnant and was going to marry Bennie, who was then in the Phoenix, Arizona area. Diane's father disapproved of the relationship and her pregnancy, but her mother and younger brother traveled to Indio, California to attend her wedding. This was the last time her parents and siblings actually saw her. For several months after her marriage, Diane wrote letters home. The last letter to her family was mailed on August 22, 1959, her younger sister's birthday, and included some handkerchiefs Diane had crocheted as a gift. After this, the letters stopped coming. Sometime in late 1960, over a year later, Bennie wrote a letter to Diane's family. The letter indicated he thought she was with them in Dolan Springs, and Diane's parents wrote back to Bennie, asking what had happened. Bennie replied on January 5, 1961, and said he hadn't seen or heard from Diane in a very long time. The last time he saw her, he had given her $100 and put her on a bus to come back to her family. Diane wrote him one letter after he last saw her and said she had had a miscarriage. 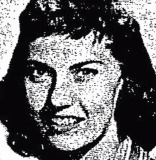 Bennie suggested Diane's parents contact a female friend of hers in California; he thought her friend might have information as to her whereabouts. Sometime after Diane disappeared, her father went to Bennie's hometown of Truth or Consequences, New Mexico to see if he could learn anything about her. Bennie's brother was chief of police at the time. He allegedly threatened Diane's father and made him leave town. Bennie is still alive, but he has refused to cooperate with the police or take a polygraph, and says he doesn't recall ever marrying to Diane. A copy of their marriage certificate is still extant, however. In August 1961, Diane or someone using her name visited a dentist's office in California. This is the last sign of her. The skeletal remains of a young girl were found the Catalina Mountains in southern Arizona in November 1967, and investigators initially believed they were Diane's and tried to give them to her family. The death was ruled a suicide. Diane's mother did not believe her daughter would have taken her own life, or that the remains were hers, and she and her husband refused to accept them. In 2013, the bones were exhumed and tested for DNA; they were not Diane's. Diane's parents have died, but her siblings continue to search for her. Her case remains unsolved. Updated 4 times since October 12, 2004. Last updated October 13, 2016; picture added, details of disappearance updated.